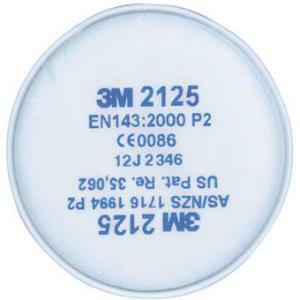 3M Disc Filter 2125 P2 Particulate is one of the 3M 2000 series of filters that provide a lightweight filter option for 3M. Able to be used for protection from mechanically and thermally generated particulates. Therefore it provides protection against dusts, mists, welding fumes, smokes and biological agents such as legionella, Q fever and anthrax, also can be used in industries where excess levels of particulates are present in the workplace atmosphere.